When the Brothers Grimm first gave us their version of Hansel and Gretel they didn’t shy away from the nasty elements of the story, and most recent productions of the opera, such as those from Covent Garden or the Met, succeeded through exposing the disturbing underbelly of the tale. It’s worth remembering, however, that Humperdinck and his sister-librettist, took the conscious decision to give us a sanitised, more family-friendly version of the story, and so it’s refreshing to see that Scottish Opera’s new production embraces the tale in its naïve simplicity. There are no industrial child-fattening factories or suggestions of parental abuse here; instead the opera is presented as a straightforward fairy story where the wicked witch gets her comeuppance and the children’s loving home life is never in doubt. There is a bona fide gingerbread house and the time period is consistent with that of 19th Century Germany; the father has a peasant hat and Hansel even wears lederhosen. It might lack that extra layer of psychological penetration or suggestion, but it works very well on its own terms and still makes for a good night at the opera. The chief theme of Tim Meacock’s designs is the forest which appears in some form in all three acts. The tall, conical trees act as the walls of the house in Act 1 (where the oversized furniture does a good job of depicting the singers as children) and they glide around simply but effectively as the children lose their way in Act 2. The witch’s house looks a treat and there are some fun pyrotechnics to add to the pizzazz of her magical doings. Ailish Tynan was rather more convincingly childlike than Kai Rüütel’s Hansel who lacked the boyish swagger that the text suggests. Their voices were rather too similar, lacking effective contrast. Still, they threw themselves into the parts with relish and their dance in Act 1 was charming – more so than the growing sense of fright in Act 2. There were no wizened old crones either: Leah-Marian Jones was a young and attractive witch, and thus all the more threatening. She sang well and got into the shrieks with comic hysteria, but her diction was pretty awful, rendering unintelligible much of Bill Bankes-Jones’ crisp, if somewhat rough, new translation. Shuna Scott Sendall, a Scottish Opera emerging artist, sounded rather shrill in the admittedly thankless role of the mother, and Marie Claire Breen’s Dew Fairy was more successful than Miranda Sinani’s Sandman. Vocal honours of the night go to Paul Carey Jones, however, singing with clarion projection, excellent enunciation and thrillingly rich vocal tone. It’s the first time I’ve ever wished that the father’s part was longer. The greatest musical treat of the evening, however, came from the orchestra, sounding richer and more inviting than I’ve heard them in a very long time. The sheer warmth of the sound that flooded from the pit in the opening bars of the overture was wonderful and they loved getting into the rich sonorities with which Humperdinck floods his text. It makes me long to hear the orchestra get their teeth into some more Wagner, a composer whose work they haven’t touched since the 2003 Ring, but their part-time status makes me fear that this will remain wishful thinking. 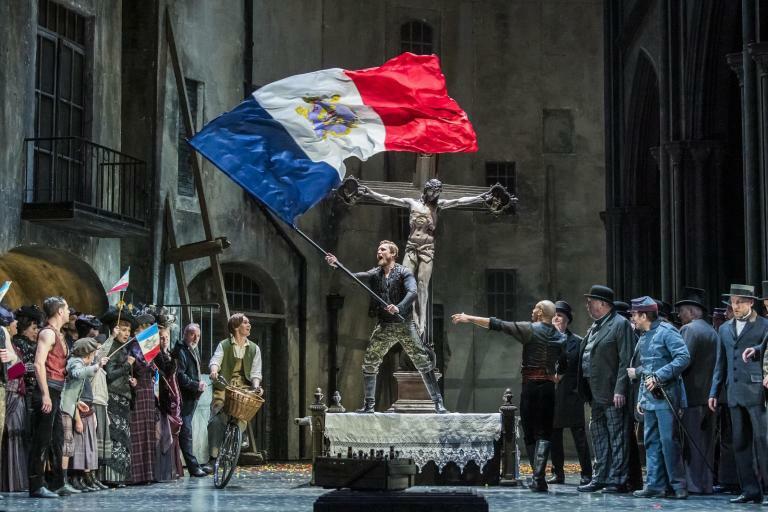 Scottish Opera’s season continues with a new production of The Rake’s Progress and a summer revival of Tosca. For full details go to www.scottishopera.org.uk.